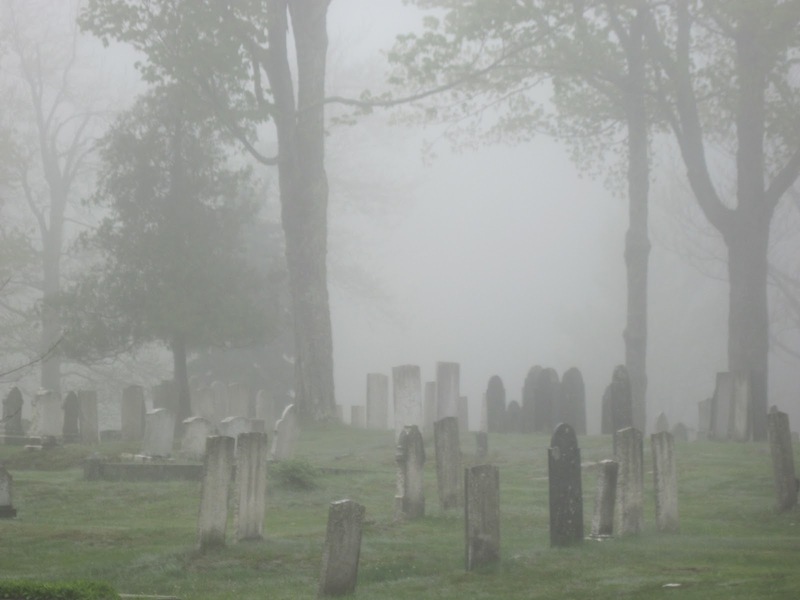 Cozy Chicks: Cemeteries, Inscriptions, Obits, Oh My! Cemeteries, Inscriptions, Obits, Oh My! Sometimes I worry that I have an unhealthy preoccupation with cemeteries. They fascinate me. Especially at this time of the year – fall leaves, carved pumpkins, short days, dark nights, Halloween right around the corner. Driving down an unfamiliar road, I see an old graveyard ahead and can’t resist. I have to stop and wander through, reading the stones’ epitaphs. Till he wrote my girl a letter. Let your wind go free. So please tell me these aren't morbid preoccupations. You like old cemeteries and reading the obits, right? I love cemeteries! As a child my mom would take me to one for picnics. (Why not? There are ponds where you could feed the ducks, trees and lovely landscaping.) Actually, this concept was quite popular in Victorian times. I'm also enamored with funerary art. So...you're not alone. Same here. One of my favorite places in Chicago is Graceland Cemetery it's just beautiful and full of history. I love them. My husband and I traveled to Boston and took the Ghost Tour which included the old cemeteries. Beautiful with wonderful stories. I got some great pictures, too! I didn't know I was in such good company! Yeah! I could spend hours wandering through a cemetery. The older the better. I agree, they are fascinating. I, too, like wandering around old cemeteries and reading the gravestones. Some are really interesting -- and so are the type of gravestones. The styles have changed a lot over time! I don't like going to them at night, but I love old cemetaries. It brings out the history buff in me. The old ones were so much better than the ones today. They put so much more information in them. I like to think about who those people were and what their lives were like. I love the fact that at St.Simons Island's Christ Church Cemetary you can find the characters from Eugenia Price's books like Lighthouse, The Beloved Invader, and Bright Captivity. Oh yes...cemetaries are so interesting. I love going to cemetaries in different parts of the country to see how the customs differ. The gravestones, grave decor, character, swept earth, mounds, slabs, etc, etc. You get a better sense of a region or community in cemetaries that have personality. Definitely older cemetaries are more interesting because the styles differ so much. I'm always intrigued and fascinated by the relationships and stories represented by the headstones. One of my favorite cemetaries is Mt Hope in Dahlongega, Georgia because of a huge monument for the Scanlin's that was erected in the 1990's. Twenty six Emily Dickinson poems are on the walls, hundreds of animals cast on the tops of the walls, benches outside the monument to sit on. Totally fascinating. I made sure when we went to Sacramento this summer on vacation to go visit the Old Sacramento Cemetery. It was fascinating to see all the old stones and see what they've done to fill the cemetery with life again to help keep it maintained.We spent 3 1/2 hours and we still didn't see everything. Yosemite NP has an interesting cemetery as well. Another vote for cemeteries, the older the better. One of ours holds an annual "Talking Spirits" tour, where vistitors "meet" some of those who are buried there. I'm making a to-go list! The number of sites show you clearly are not alone in your fascination. Love cemeteries. I blame it on my mother. Right down the road from me is a huge one, over 100 years old and around 400 acres. The burial place of Uncle Sam, who was from here. Everytime I go, I find something different. It's fun. And the crematorium is still used. And it's so gothic- complete with Tiffany windows. (real ones- Troy has one of the largest collections as a city) . I can't wait to go snowshoeing there this winter. Everyone has their own hobbies, and this is not one of them. I was in a very old church during my vacation, as my best friend loves visiting them. And there were people buried inside the church (in the 1400's), and I really found it disrepectful to walk over their stones. But you had to. Visiting a cemetarey is not my thing. We should start a club. My fascination started with the cemetery my grandfather took care of. We played tombstone tag at night when I was a kid. My mom and I used to walk to the National Cemetery in Fort Scott, KS and look at the tombstones from the Civil War. I still like that. My favorite was Chief Stick-Out-Belly. One of my favorite tombstones is in Lincoln, KS. It's a suitcase and the inscription was for a traveling salesman who died in the town while on his route.